A lot of people in modern times are interested in making money online. There are various types of ways available these days to earn digitally. But the most comprehensive way, about which many do show interest, is to make money through Adsense or to make money through a blog. The prime reason behind the same is because here the investment amount is pretty less. On the other hand, if things are executed right, the extent to which one can earn is simply enormous. However, not everyone manages to make the most of AdSense, despite being extremely interested. In general, these people are unaware of what Google wants from them. Given below are some useful tips for such people, those can indeed help them witnessing greater figures. The first thing people do wrong is, not knowing the Google’s rules. It is very important for the webmasters to meet policies of the Google. At the same time, they should comply with Adsense program policy as well. Never click on your, or the non-Adsense ads. You should not ask others to click as well. The smart tricks like paid clicks, purchasing PPC or executing customised programs for driving traffic to Adsense sites, etc., all violate Google’s policies. There should be no compromise regarding content. Plagiarism issues are like sins. Content should be unique, engaging, and error free. The black hat techniques for SEO purposes should be completely avoided. At the same time, designing the sites organically in a SEO optimised way is highly essential. Similarly, the article marketing strategies need to be organic and optimised as well. One should first test the ad kinds and positions those encourage greater clicks. No mails from Google should be ignored. Especially, the mails regarding warning make things absolutely tough. Not meeting the Google’s standards hold every possibility of termination of the programs. It is always advised to go with standard units always. Though Adsense provides a great number of ad units to select from, but one should only go with the one that suits him the best. To be specific, the dimensions like 300×250 are best for beginners. Among others, 728×90, is also pretty common among others. It is important to observe the fill rates. It is crucial to ensure that the site contains ads; not the blank spaces. One should regularly monitor the fill rate to ensure everything is going fine. Going through AdSense norms is absolutely important. As per the regulations of AdSense, it allows only three ad units for one page; though pages can be designed to handle multiple ads without disturbing the visitors in terms of going through the contents. However, one can put more than 3 ads on a page; but, it needs to be meeting the standards set by the Google. One should follow the ATF norms or should put Units above the Fold. It looks certain as the higher is position of a ad on the site, greater can be the chances of a page being witnessed. Placement of the ad always plays a big role. Positioning the advertisements above the fold in general is considered a better option. There is indeed no rule that the comparatively lower position never gets visitor. But, a higher position no doubt is preferable for better views, and more over the licks. 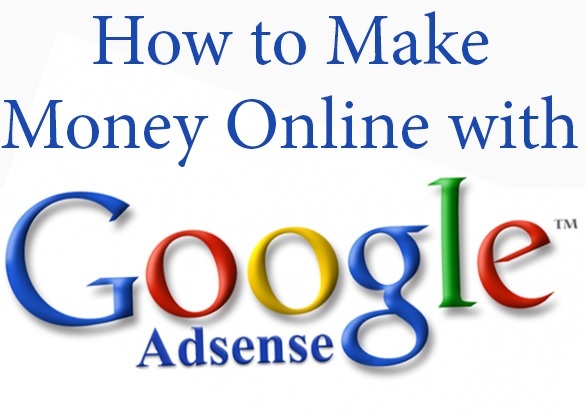 Anyone is natural to be greedy about Adsense earnings. However, it has been seen on many occasions that people feel overconfident after getting some earnings through Adsense and try different things on an experimental basis. It is important for such people to understand that Adsense can terminate your license at any moment; no matter how old you are. Tricks about which you are unaware should never be tried. Though there are examples of shortcut methods, but these indeed don’t work on a longer basis. And, Google Adsense is not a thing to be impatient about.